Champagne (GB) Your browser does not support any audio element. Probably the most famous alcoholic drink and the epitome of joie de vivre and luxury. Already in 1531 was in Southwest France sparkling wine documented, namely the Blanquette de Limoux from the town of Limoux. But in the Champagne In the first half of the 17th century, champagne was by no means synonymous with foaming wine. A common phenomenon in this area was that due to the cold weather, the fermentation in the autumn interrupted and the wines were still bottled anyway. In warmer weather in the spring was by the residual sugar an unplanned or unwanted second fermentation triggered in the bottle. Initially, there was no intention behind it, but it happened just by chance. The deliberate or targeted production of champagne, that is, so to speak, the "invention" of the foaming drink is falsely often the Benedictine monk Dom Pierre Pérignon (1638-1715) attributed. An indisputable fact is that he is especially the most artistic assemblage of vintages, grape varieties and locations brought to its highest perfection. But he not only did not aim for a second fermentation in the bottle, but tried to prevent the unwanted process even by various measures. One of these measures was to use red grapes instead. An important contribution to the popularity was made by the satirist Marquis de Saint-Evremond (1610-1703), due to disputes with the Prime Minister of the French Sun King Louis XIV. (1638-1715) went to London into exile. From the year 1661 he introduced white wines from the Champagne in barrels. Due to the warm spring weather, a second fermentation was often initiated already in the barrels. The vivacious sparkling wines were bottled after arrival and quickly became a popular drink mainly in noble circles. These were primitive forerunners of champagne, twenty years before Dom Pierre Pérignon dealt with it. In 1663, a sparkling champagne was first mentioned in writing in London. The first lovers were the English, only then did he come into fashion in France, especially in Paris. In the last third of the 17th century, it became more and more customary in Champagne to add sugar and molasses to the wine when bottling, thereby obtaining sparkling and frothy wines. The foaming product was then deliberately made in larger quantities towards the end of this century. But even thick-walled bottles very often held up to the large quantities of sugar added and vigorous fermentation carbon dioxide pressure not standing. Around 80% of all bottles broke then. Therefore, only a few thousand bottles were produced annually throughout the 18th century. And these were extremely expensive. 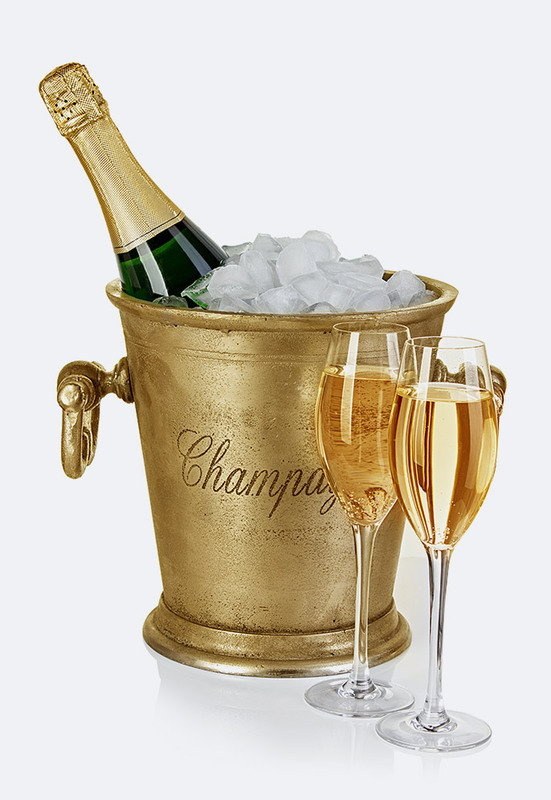 Therefore, champagne initially developed exclusively as a fashion drink in aristocratic circles and the wealthy. An extensive production of champagne began only in the first third of the 19th century, when the problem of the correct sugar dosage was solved. The chemist Jean-Antoine Claude Chaptal (1756-1832) contributed a lot to the clarification. He recognized as the cause of foaming in the bottle not yet completed fermentation. The greatest merit, however, acquired the pharmacist Jean-Baptiste François (1792-1838), who found out the secret of the right amount of sugar. Shortly before his death he published this formula. Other milestones were the improvement of the cork, the development of a corking machine, as well as in the champagne house Veuve Clicquot-Ponsardin the invention of the Rüttelpultes at the Remuage by the cellar master Anton Müller. Approved are seven varieties, of which only Pinot Noir. Pinot Meunier and Chardonnay play a role. The four varieties Arbane. Petit Meslier. Pinot gris (Fromenteau) and Pinot Blanc are allowed for historical reasons, but occupy only 90 hectares. authorized education forms are Chablis, Cordon de Royat. Guyot and Vallée de la Marne. These are short Rebschnitte that ensure moderate production. The maximum yield is determined annually by the CIVC and depends on the weather and the economic situation. With oversupply of champagne is throttled. In 2004 these were 14,000 kg / ha of grapes including 2,000 kg of reserve. Making champagne is a very complicated and complicated process. The chronicler Henry Vizetelly (1820-1894) has described this in the 1882 published book "A History of Champagne": Good champagne does not fall from the sky and does not jump out of the rock, it is rather the result of tireless work, prudent expertise, meticulous care and careful observation. The special thing about champagne is that its production only begins when the preparation of other wines usually ends. Countless legends and anecdotes are entwined around the champagne. Madame Pompadour (1721-1764), mistress of King Louis XV. (1710-1774), said: Champagne is the only drink that makes women more beautiful the more they drink. Incidentally, her favorite brand came from the house Moët et Chandon, The most beautiful anodokte is undoubtedly that of the legendary Madame Lily Bollinger (1899-1977) from the eponymous champagne house. As a rule, the grapes are read early; that is, with a lower one Mostgewicht, Also a particularly low earnings does not matter much. The essential criterion for the optimum quality of the grapes is not high sugar content, but the ability to provide acidified base wines. Furthermore, astringent phenols (Anthocyanins, tannins) undesirable. The price of grapes will follow the system Échelle des crus established. The best champagne houses use for their Cuvée de Prestige only grapes with the highest grade. The grapes are harvested by hand, all immature and rotten good is read out. The minimum amount of potential alcohol content in the must is also set annually (around 9% vol). The maximum yield is limited to 102 liters of must (resulting in 100 liters of wine) from 160 kilograms of grapes. Only gentle whole-bunch pressing is allowed. The traditional presses hold 4,000 kilograms (1 Marc) of grapes, from which 2,550 liters of must can be obtained. The quantities result from the type of barrel used here Pièce champenoise with 205 liters. The 2,050 liters (10 Pièces) resulting from the first press run are called Tête de cuvée That's the best quality. This is followed by a "waisting" (turning) of the mash and another pressing process. These remaining 500 liters are called waist (until 1990, there were two Pièces Premiere waist with 410 l and a Pièce Deuxième waist with 205 l). Only these musts may be used for champagne. The must of further pressing operations is called "Rebéche" and is only for distillation allowed. Many champagne houses use for the production of base wines only the best must (tête de cuvée) for further processing. The must is clarified at low temperature for 12 to 48 hours by settling before fermentation (Débourbage). Then it is transferred to the fermentation tanks, with most companies using steel tanks of 50 to 1,200 hectoliters in volume, and a few even traditional oak barrels. It is often used by the CIVC recommended yeasts used. The fermentation temperature is between 12 and 25 ° Celsius. At about 22 ° C, the alcoholic fermentation takes about three weeks. Most wines will become one malolactic fermentation subjected. Finally, another clarify, the end product is called "Vin clair". The base wines for champagne have in comparison to still wines mostly an unremarkable, sour taste. This process determines the uniqueness and quality of the product. The compilation of wines and vintages requires experience, sensory Skills, imagination and care. It is in detail a well-kept secret of the houses. At this point, it is decided whether the quality of the wine is sufficient to create a millésime (vintage champagne), which only happens in particularly good years (free choice of the houses). According to the EU regulation, this must be at least 85% of the given year, which has been tightened by the CIVC to 100%. In the case of vintage champagne, the assemblage takes place from different vintages or wines. at Moët et Chandon From the huge reservoir of 300 basic wines, a cuvée of up to 30 batches is composed. Here can also the reserve wine to be there. The "Grande Cuvée" of the champagne house jug even consists of up to 60 different wines. The deduction of the wine on bottles for the following bottle fermentation must not be made before 1 January of the year following the harvest. One of the basic rules is that after the alcoholic fermentation, the champagne must undergo a second fermentation in a bottle (that is by no means in the tank or barrel as that is not so rare) sparkling wine the case is). That champagne in that bottle in which he is also marketed, was until the end of 2001 only on the formats normal bottle (0.75 l) and Magnum (1.5 l) limited. All small formats (like those in airlines) and the remaining large formats were allowed to be filled from normal bottles. Since the beginning of 2002, half bottles (0.375 l) and Jeroboam (3 l) be original bottle fermented. Some producers like jug or Pommery have always treated all their formats like this. Depending on the residual sugar, a small amount of about 25 g / l "Liqueur de tirage" (filling dosage) is added to the base wine in order to trigger bottle fermentation. This is a mixture of cane sugar and special dissolved in wine yeasts; the so-called filling Dosage, Many producers are also at this time Rüttelhilfen such as bentonite added to the later removal of the yeast pack - the dégorgement to facilitate. Thereafter, bottling takes place immediately, the first with a Capsules be closed. For some producers, a small, thimble-sized plastic beaker (Bidule) is mounted on the inside of the crown cap, which receives the yeast depot resulting from fermentation. The bottle fermentation lasts for about ten days to three months at relatively low temperatures between 9 and 12 ° Celsius. The alcohol content increases by about 1.2% to 1.3% vol. Under high pressure of at least 3.5 to 6 bar, the typical, very fine-pearled foam (French: "pinch of mousse") is produced in the form of carbon dioxide. 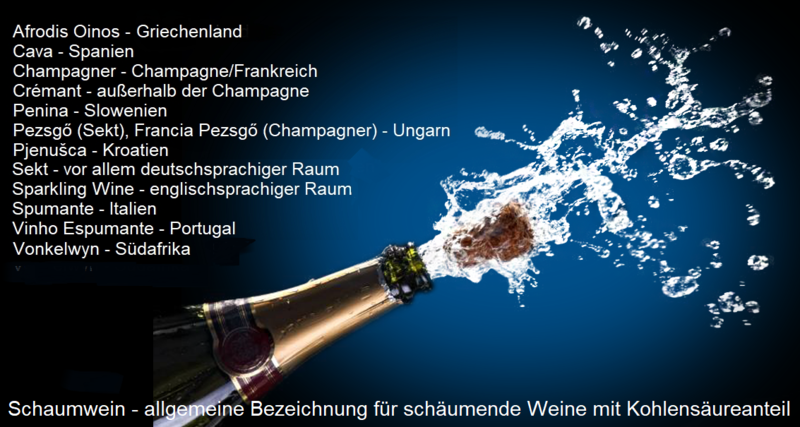 Height Perlfähigkeit Champagne (sparkling wine) with tiny pearls is a decisive quality criterion. Bottle fermentation forms a sediment of dead yeast cells (lie). The bottles must now be stored for at least 15 months (of which at least 12 months on the yeast set), for vintage champagne for three years. But there is also champagne with 10, 20 and rarely even up to 50 years of storage. The longer the yeast is stored, the shorter the drinking capacity in the opened state. On average, however, the storage time for non-vintage products is 2.5 to 5 years. In the process, substances are absorbed from the dead yeast residue and the finely churning, typical taste is developed. 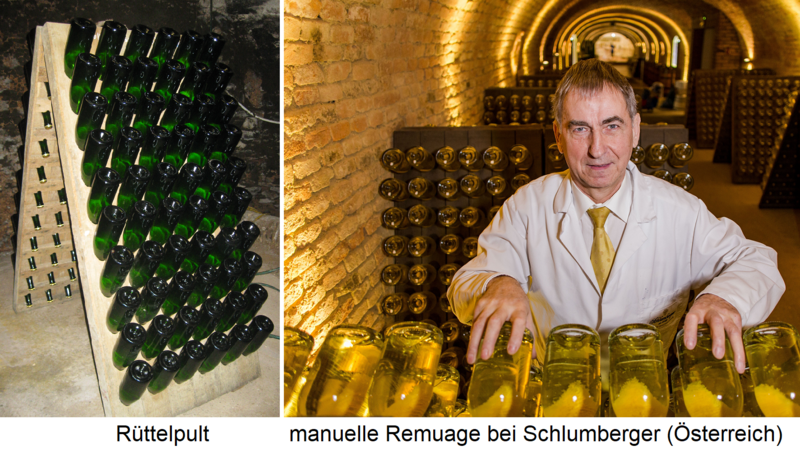 The bottles are placed with the neck down in the obliquely and initially very steep Pupitres (Rüttelpulte). For up to three months, they are manually shaken daily by the Remueur (jolting master), turned one-eighth circle and placed the desk a little flatter until the bottles are upside down and the dregs are in the bottleneck behind the cork. This is usually 24 to 32 times. As a positioning aid for the Remueur is used by many houses on bottle bottom on Winery point (marque) attached. Experienced joggers can handle 30,000 to 50,000 bottles of champagne per day. The time-consuming and labor-intensive manual remuage is being used by large companies today Gyropalettes (computer-controlled metal boxes), reducing the process to one week. Recent methods are to make both the Remuage and the Gyropalettes superfluous. For adsorptive strong alginates used. Alternatively, the bottles are now filled with a mixture of wine and cane sugar, sometimes with brandy, This replaces the missing amount in the bottle by removing the yeast and gives the champagne the desired level of sweetness. In order to optimally combine the dosage with the wine, an as Poignettage designated shaking the bottles. With high-quality vintage champagne or with very long yeast storage this dosage is eliminated. Then the text pas dosé, dosage zéro or brut nature appears on the label - meaning "without dosage". Now the bottles are closed with the final cork and with the typical Agraffe Provided. For champagne (sparkling wines) will be special Bottle sizes often named after famous biblical figures. Since the production is very costly and time-consuming, this is not done by all champagne houses and only in smaller quantities. There are about 15,000 Champagne winemakers, many are small grape-producing farms with only a few hectares of vineyards. But around 5,000 of them and 60 cooperatives and 360 trading companies produce champagne. These produce at least one, some even hundreds of brands (in this case especially MA's). The total of 11,000 champagne brands are at CIVC registered. Every year around 300 million bottles are marketed. This means that, on average, ten bottles are opened on average every second. Around 40% of the total quantity is exported. The main buyers are Great Britain, USA and Germany. The program of large companies includes a vintage-standard quality, a vintage champagne, a Blanc de blancs (Chardonnay), a rosé as well as a top product of the house Cuvée de Prestige, Some companies produce under the name Coteaux Champenois also non-foaming red and white wines. An often asked question is whether champagne is suitable for long storage and evolves like a high quality still wine. Usually he has the Climax already reached after the marketing (see under sparkling wine ). Several finds of bottles in shipwrecks have shown that the "ideal storage conditions" (dark, cool, high pressure, quiet storage) can still be used to drink very old champagnes. The record holds a found in a wreck in 2010 Veuve-Clicquot of the vintage 1839, which was not only edible after 170 years, but even excellent mouth (see in detail under Veuve Clicquot-Ponsardin ). All around the enjoyment of champagne (sparkling wine), a diverse culture has developed. It is for example tradition and international standard, for ship christenings To use champagne. See more examples below Champagne cocktail. Champagne bottle. Champagne glass. Champagne bucket. Champagne pyramid. Champagne Pliers. Placomusophilie and sabrage (Champagne-heads). A remarkably informative website about champagne is www.champagner.com . Courtesy of author John McCabe , the award-wining work has been used as the source of operational descriptions for many of the champagne houses listed above. This page was last modified at 14 April 2019 at 09:41.